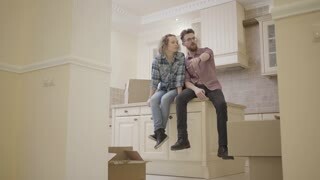 Search Results for "young couple in house"
Portrait of delighted young couple standing in the house and shaking keys to new home at camera. Cheerful excited couple holding keys and dancing. Slow motion. Keys with wooden house shaped key ring. 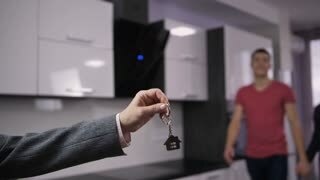 Young couple walking hand in hand in their house. The young couple fall to the floor in a cozy house on the Christmas tree.